Smart lights have entered the world of smart home devices. It is now possible to replace the ordinary bulbs in your home with smart light bulbs that can be controlled with your smart phone or tablet. These smart light bulbs definitely bring a wow factor along with convenience and utility. For example you can have the lights switch on automatically when you walk in the room, or change colors when you are listening to music. There is an overwhelming variety of smart bulbs in the market, and below we have listed the top five smart light bulbs currently available. Arguably the most popular name in the smart lights segment, Philips Hue Starter Kit comes with three LED smart bulbs and a Hue Bridge, which can connect up to 50 lights to the system. 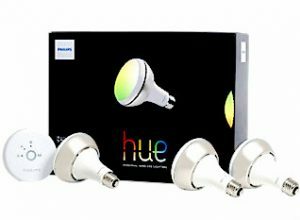 The smart bulbs can be controlled from the Philips Hue app for Android or iOS which allows you to control the intensity, colors and schedule of your lighting. The Hue offers integration with Amazon Alexa, Apple HomeKit, Nest and IFTTT. It is the most robust and user friendly lighting system available in the market. It is one of the few prominent brands compatible with the Apple HomeKit, and also supports Amazon Alexa. Originally a Kickstarter project, the LIFX Color 1000 is one of the brightest smart bulbs in the segment. A worthy rival to Philips Hue, it has 16 million colors, 1000 shades of white alone. It has built in wi-fi and can be connected directly to your wi-fi router, thus eliminating the need for a hub. The app is quite powerful and well designed, and allows you to control individual or groups of lights. The app is available for Android and iOS. Compatible with smart phones as well as watches, the LIFX smart bulbs work with Amazon Alexa, Nest, SmartThings and IFTTT. Osram Lightify offers many types of bulbs to choose from such as surface lights, strip lighting, spot lighting, garden spots, as well as a white bulb and a colored bulb. 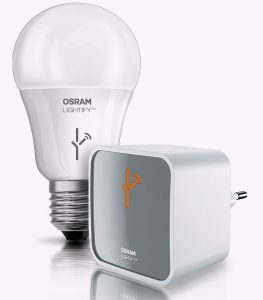 The Osram Lightify starter kit comes with a smart bulb and a Gateway (that communicates with the bulb, and can be connected in a power socket. Lightify has many of the features as Philips Hue, and allows you to choose from 16 millio colors, control the white light temperature, and control each bulb remotely from the app. The app is compatible with Android and iOS. A color picker lets you choose any color within a picture and replicate the same in your room. For example you could click a picture of a sunrise or even or any other setting you like, and you can replicate the color in your room. 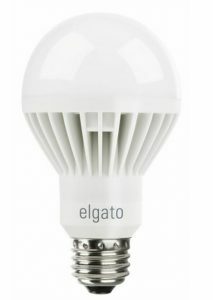 The Elgato Avea is one of the cheaper options out there (compared to Philips Hue and LIFX) when it comes to smart light bulb. It works without a hub can be connected directly to your iOS device via Bluetooth. It now has Android support, so you can also control it using your Android smartphone or tablet. The Avea smart bulb does not focus much on utility, however, and is more a party bulb. You can choose from a variety of color changing scene settings to suit your mood. It also offers seven solid colors to choose from: white, yellow, orange, red, blue, green and purple. The lower price tag of the Avea is a plus, but it lacks in features that the Philips Hue or LIFX have to offer. 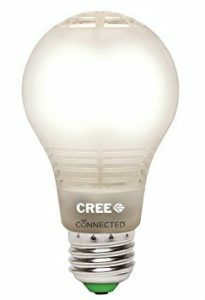 The Cree Connected LED bulb is one of the cheapest options available in the smart home lighting segment. 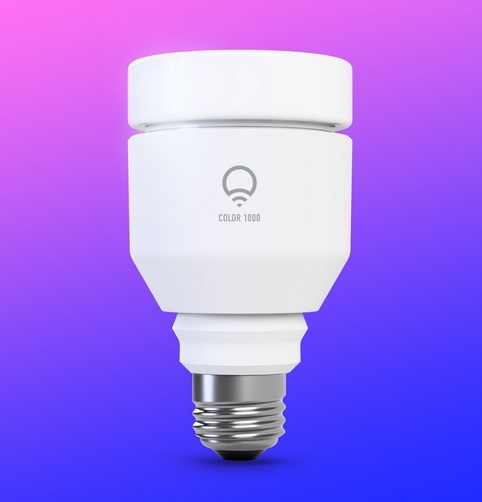 Although the bulb is white only, it is still a bargain when compared to color changing bulbs like the Philips Hue or the LIFX LED. To use the Cree LED’s smart features, it needs to be connected to a control hub. It offers third party connectivity to Wink, Philips Hue Bridge and SmartThings with these platforms enabling different features such as IFTTT. Even without a hub, the Cree LED is a decent bulb that offers good in-built dimming capabilities (however, it does not work too well with dimmer switches). Use it with a hub, and you can do a lot more such as switch it on or off remotely, or set the lights to follow a schedule, or sync them with motion sensors, depending on the functionality your hub offers. Saubda is a tech enthusiast and blogger. An engineering and management graduate, he is a strategic planner by profession and a writer by passion.